“Early on, if anyone had been able to tell me exactly the right thing, I would have dismissed it as preposterous because the world has just changed too much in unforeseen ways. “However, here’s my advice: get a second degree in something totally different— neuroscience, medicine, linguistics, or whatever feels right. 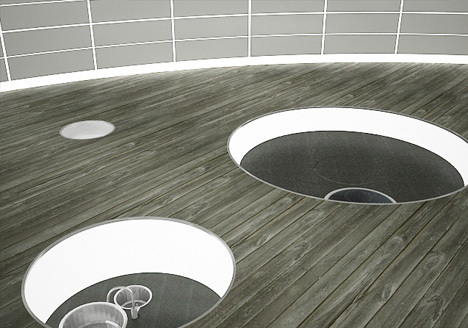 Architect and designer Monica Armani was born in Trento. She currently divides her time between Trento and Milan. She began her professional career working with her father, rationalist architect Marcello Armani, who passed on to her a passion for designing and planning, an attention to detail, and an enthusiasm for exploring new ideas. In 2005 the project was launched by B&B Italia and since then Monica Armani has worked for the most important international design firms in this sector, including B&B Italia, Boffi, Luceplan, Tribù, Kasthall, Snaidero, Cassina, Gallotti e Radice, Molteni&C,Moroso, Effeti, Mutina, Poliform, Cappellini and Viccarbe. In her projects, formal aesthetics, innovation and engineering give life to a unique and recognizable style, characterized by a continuous connection between industrial design, architecture and interior decoration: a combination that produces an unexpected use of space, with innovative and specific technical solutions from the lights to the façade, from internal divisions to plant-design solutions. In the recent renovation of the ex-Cinema Excelsior in the center of Milan into a department store, the studio invented a new space, rearranging it in order to join seven levels, thus introducing a new type of space into this sector. 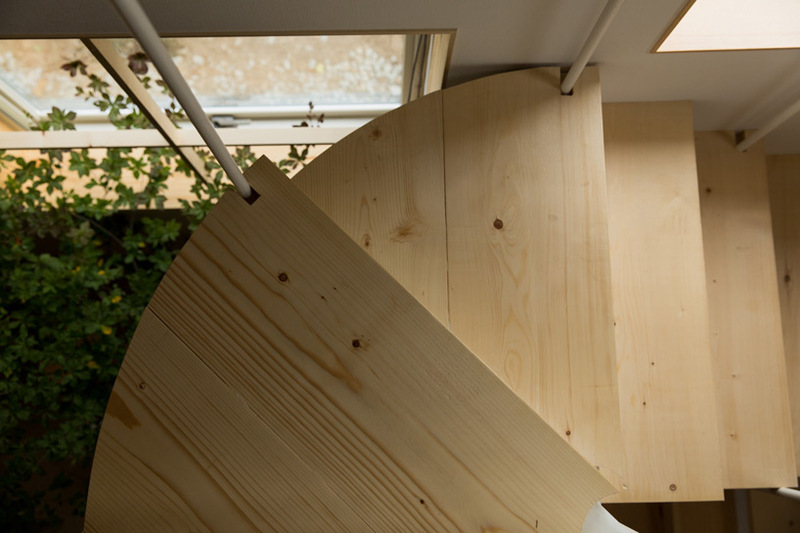 The exploration of both artificial and natural light also characterizes the work of the studio. 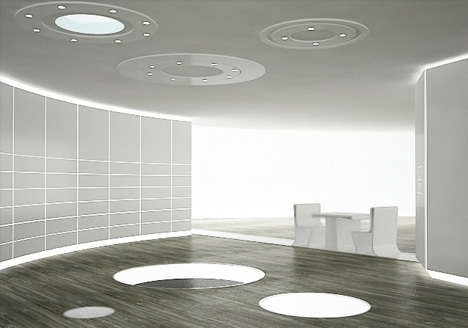 One example is the installation-ceilingClouds created for Gruppo Coin where the source of light is represented by a series of “clouds” that change chromatically. Another example is the more recent Silenzio for Luceplan with Kvadrat. Retracing the steps of the great masters, Monica Armani has also chosen to work on temporary structures as a concrete response to the current need for sustainability. Her recent projects, Lounge for Cassina, a 800mq building which can be quickly assembled and disassembled, and Tempo forGiPlanet, a platform of modular frames that can be arranged into small or large pavilions, are new points of reference in the world of temporary building structures. The rigor of geometry always inspires my projects, together with the need to free space from the burden of symbols. “Less is more”, one of Mies van der Rohe’s maxims, is how I identify myself. I believe that the work of cleaning a project, the “matching of details,” or the search for a balance of all its apects, is an essential step for creating “spaces” that are contemporary and at the same time timeless. Architect and Designer Monica Armani designed the ELLE kitchen for Snaidero, synthesising her design identity based on perfect formal appearance rooted in pure work, which she defines as an ‘‘equation of detail’’. 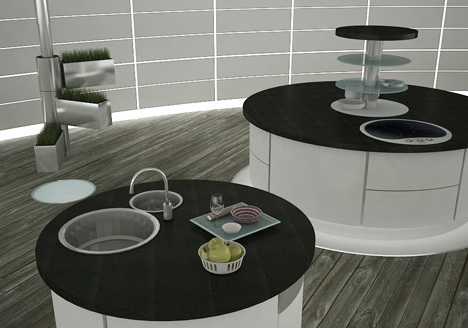 ELLE is an evolution of the kitchen space, a concept that derives from an in-depth architectonic study that considers various layout solutions characterised by a series of dedicated and innovative components. 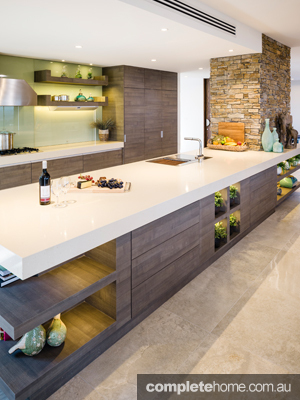 An unmistakeable attention to detail underlies this project, which works with proportions and sequences of surfaces to redesign the kitchen object with originality. Cavaso del Tomba has been defined the "Pearl of Pedemontana". It is a small village at the foot of Grappa, rich in natural beauty, located between Asolo and Possagno. These two countries in their long century of life had lived moments of glory, art and culture with Catherina Cornaro, Queen of Cyprus and Antonio Canova, a great sculptor and painter, well - known especially for his monument “The Temple”. It is on this context, that with the passing of time, had grown up a vast network of craft furniture’s schools in our campaigns and so the producers took inspiration and initiative from cultural heritage that our countries have. So thanks to the team of cabinet-makers teachers, who work in the company, the furniture are made with skill, craftsmanship, taste, experience and innovation in a classical and modern style. Our design office is always available to the most demanding customers for elaborating and executing high level, personalized furnishing in various styles and solid wood, everything to ensure maximum stability, durability, quality and elegance. The luxury shines in the new Lux collection, a glittering, bright, comfortable and equipped space for a unique and high impact environment. Every detail shines like a rare diamond , as evidenced by the light points (Swarovski) in the hand-carved small flowers in the doors of this kitchen. 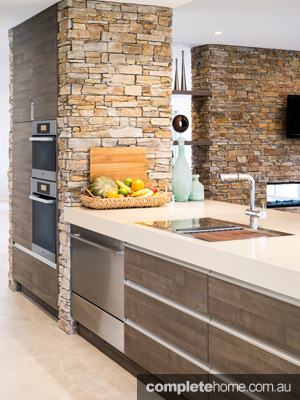 The frame, in all its majesty hurls the kitchen, which is harmoniously connected to the plinth. The hand-carved leaves, similar to the acanthus leaf, called the symbol of refinement and prestige in the Roman period, provides a harmonious shape to the kitchen. The refined beauty shines from all its details and operating the game of contrasts between the frame, the door and the plinth. The central operative island is a beautiful jewel enhanced by composite capitals carved by hand by master craftsmen and Italian marble, Dark Emperador, completely handmade by expert masons. The natural oak finish and the precious silver leaf carefully stretched by hand in every point , stand out even more the quality and the preciousness of this new collection; the result of experience and good taste of the brand Onlywood. 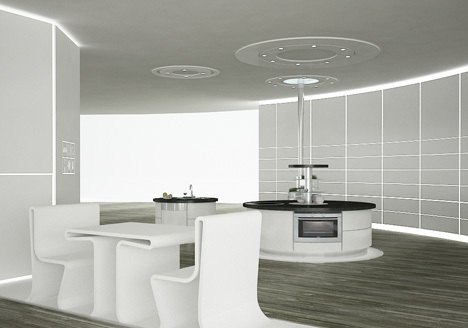 This kitchen expresses the sense of luxury Onlywood: uniqueness, wealth, innovation, prestige and excellence, all of which together create this new collection of magical, harmonious, elegant and charming of Made in Italy. Whoa. Where’d it go? Oh shizzle it’s future day! This particular project is projected for 20 years from now. It’s meant to take full responsibility of the technologies that will be available in 2029. So it uses… buttons? Oh wait. It’s also made to retain the humanity of it’s users: humans. That’s why the furniture and whatnot is made of nice wood, steel, and glass. 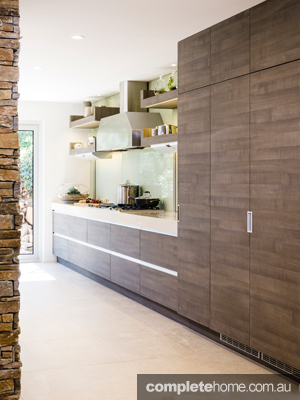 The entire system of this kitchen is contained under and above it, entirely concealed when not in use. 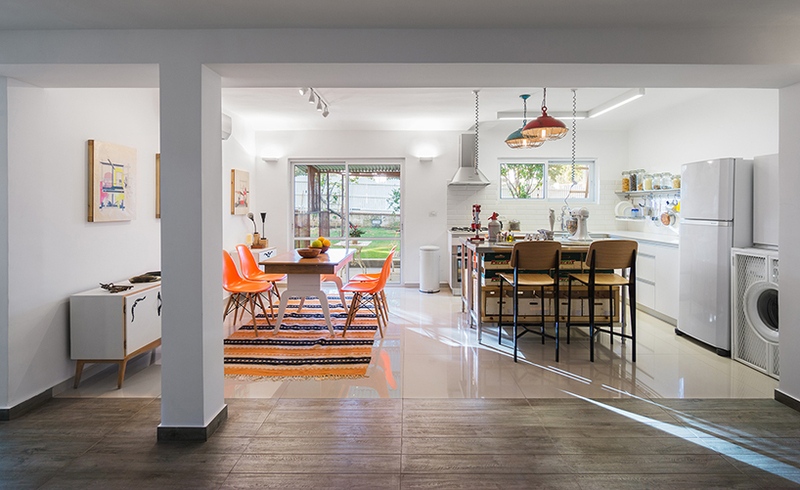 Aside from the furniture, which all basically pops up from the floor, of course: three glass circles contain the entire kitchen. 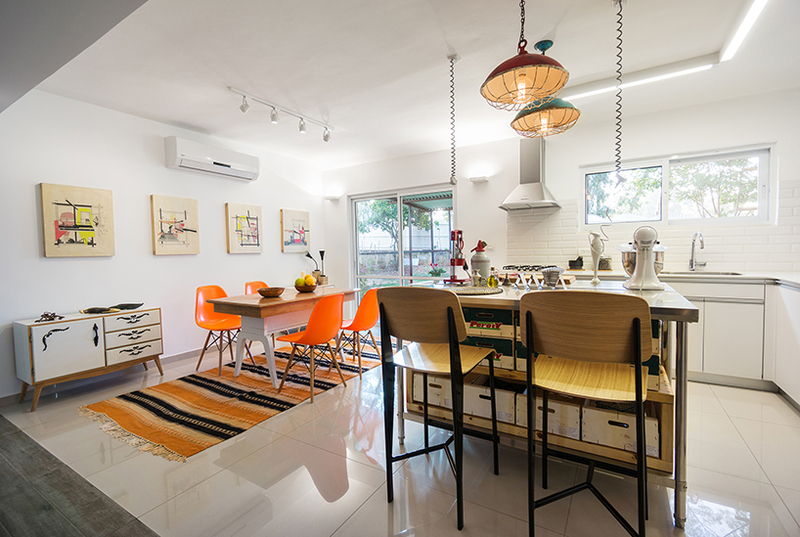 The largest reveals a heating plate, oven and cabinets, drawers, and fridge with freezer. The middle circle contains a sink, dishwasher, and cupboards / drawers. The the smallest circle contains a garden element. 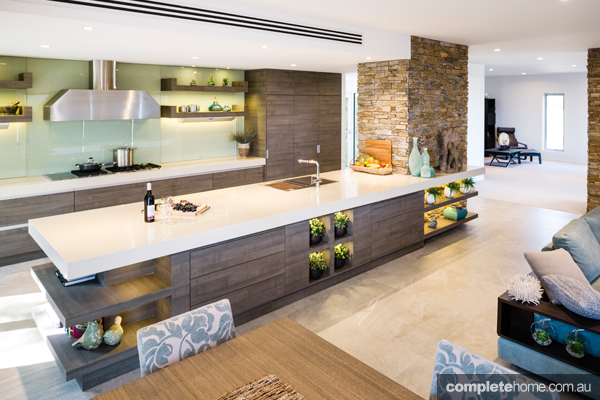 The garden element works in tangent with the roof garden that anyone with this particular kitchen simply must have. 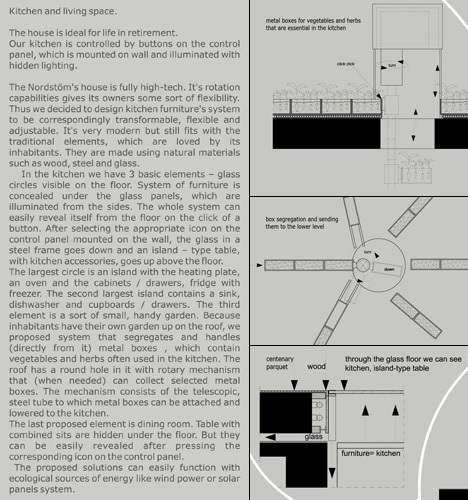 Don’t all “kitchen of the future” owners have a roof garden? 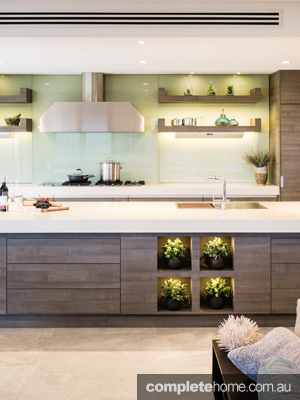 Plants from the garden can be cycled down into the kitchen, allowing the owner to both feed the plans and use the plants for cooking (like if they are edible, etc.) – convenient, yes? 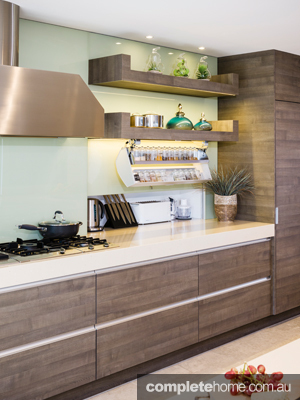 The title of this project is the general “kitchen of the future,” but for identification purposes, I’m going to call it “Hideaway Kitchen of the Future.” Hope that’s alright, trusty readers! 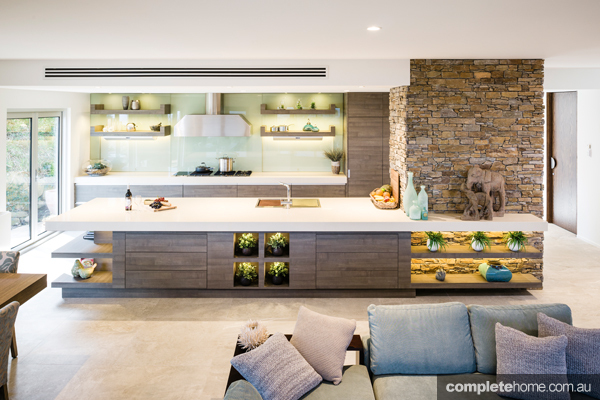 This unique kitchen by Smith &Smith embraces natural elements and functionality to create a striking yet relaxed look. 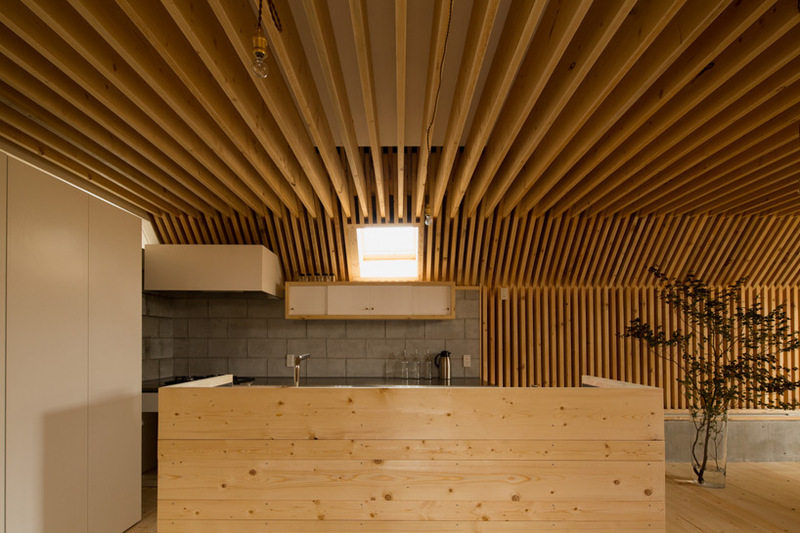 Located in the japanese prefecture of fukushima, this dwelling designed by life style koubou uses timber slats to delineate internal space. 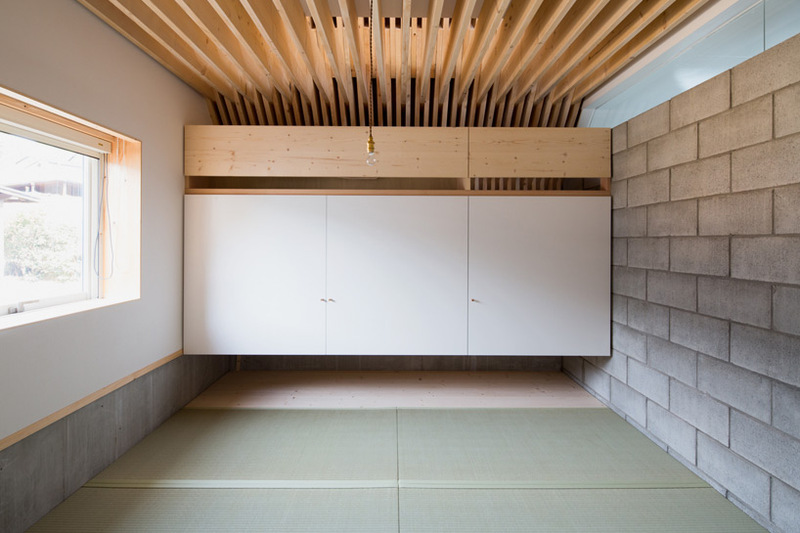 named ‘triangle house’, the two level property contains living accommodation at ground floor level, with a tatami room joining a kitchen and a dining space. 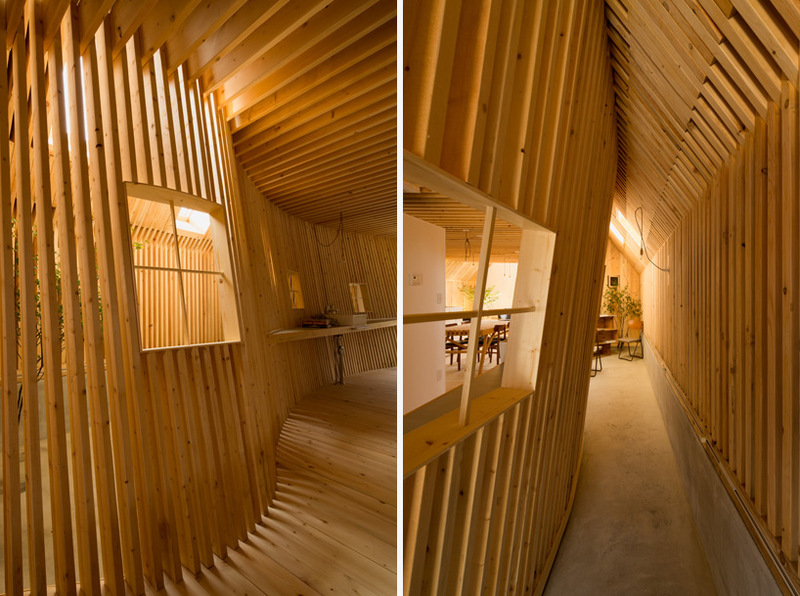 above, a lofted area boasts additional floor space with an office found in a more secluded area of the home. a storage area can also be found behind a retractable curtain. the external form of the residence has been shaped to shed heavy snowfall, while tiled slates give the façades a monolithic appearance. 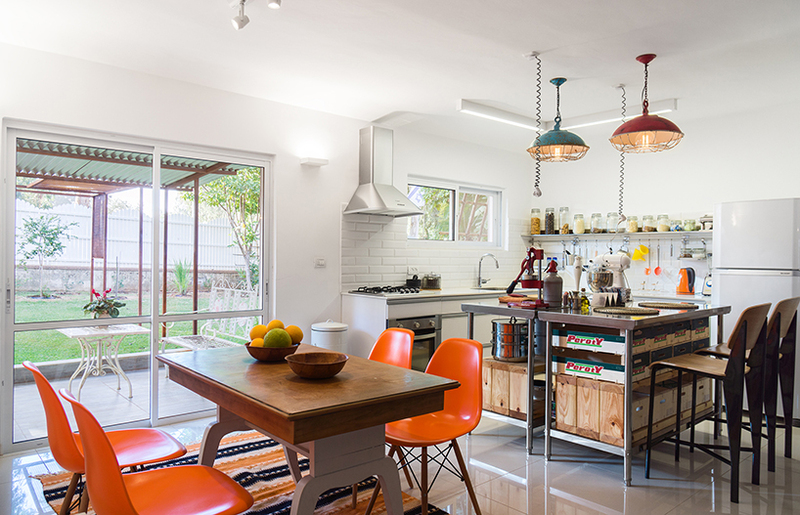 a house in a moshav, israel — originally built in 1951 for a jewish immigrant family from libya — has been reimagined by porat-based interior designer and architect rotem guy. the existing structure was a tiny unit, typical of the residences built in those years. as the family living there grew, the house was enlarged to suit their needs. 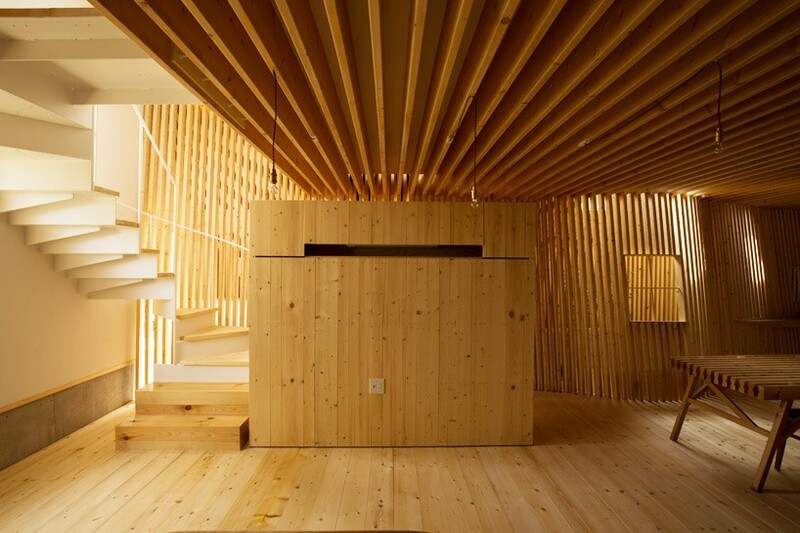 in its renovation process, guy preserved the abode’s central elements, which embodied it throughout the years and became an integral part of its form and content. the weaving of new content accommodates the for its new lodgers – a cook and a designer.